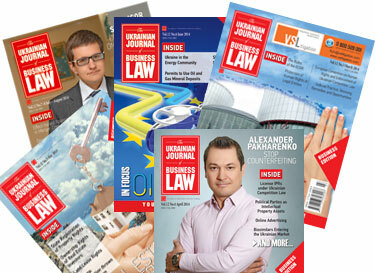 Cases on recognition and enforcement of foreign arbitral awards have a significant share in the Ukrainian economy. The convenience of proceedings in such cases provides the parties of foreign economic relations with a guarantee of non-interference by the state in private relations and retention of confidentiality. As a result of numerous efforts aimed at reform, the renewed procedure of recognition and enforcement, as stipulated by Law No.2147-VII of 3 October 2017, came into force on 15 December 2017. Thus, the experience of courts proceedings in such cases gained in the previous years has special importance for judicial practice under the novelised procedure. 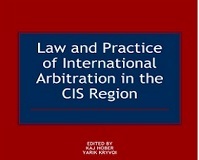 Cases on recognition and enforcement of foreign arbitral awards are few and make up approximately 0.006% of the total number of cases considered by district courts under the civil law procedure. Cases of this category may in essence be described as indisputable, as a state court may dismiss recognition and enforcement of an award rendered by the International Commercial Arbitration Court (hereinafter — ICAC), exclusively upon procedural grounds, the exhaustive list of which is stipulated by the Convention on the Recognition and Enforcement of Foreign Arbitral Awards of 1958 (hereinafter — New York Convention). Furthermore, state courts have no power to review such cases on their merits either as they do not consider claims for setting aside ICAC awards. However, resolution of such cases has great importance both for the country’s international image and economy. 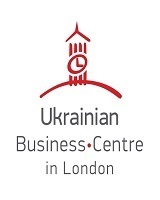 The subject matter of these cases is mostly recognition and enforcement of awards rendered by the ICAC at the Ukrainian Chamber of Commerce and Industry, although almost 50% of claims are with regard to the most prominent ICAC of the world functioning at international commercial organisations and have influence within the international market, namely DIS, ICC, ICDR, ICAC at GAFTA, LCIA, VIAC, SCC, SCAI. The evaluation of the national mechanism of recognition and enforcement is calculated in the ranking of economies on their ease of doing business, as compiled by the World Bank. According to the ranking Ukraine held a stable position as of 2017 and 2018, ranked 76 among 190 in the general ranking and 119 in the ranking on enforcing contracts, in formation of which the alternative dispute resolution index (1.5 out of 3) and case management index (2 from 6) are calculated. Considering the role of cases on recognition and enforcement of ICAC awards for the state economy, the correlation between the amount required for recovery in such cases and Ukraine’s GDP should be noted. This indicator was 0.38% of the real GDP of Ukraine as of 2017, 0.46% as of 2016 and 0.09% as of 2015. Furthermore, according to the data on the first half of 2017, the amount required for recovery in cases on recognition and enforcement (0.004% of all civil cases) was 12.3% of the total amount required for recovery in cases considered by district courts under the civil law procedure. Evaluating the effectiveness of proceedings in cases on recognition and enforcement of ICAC awards, the indicators of quantity of satisfied claims, grounds for refusal, quantity and results of appeals should all be calculated. On average 75% of claims on recognition and enforcement, filed to state courts were satisfied, including partially, (73% — 2015, 68% — 2016, 67% — 2017, 92% — first half of 2018). Thus, in most cases courts showed a pro-arbitration approach. In cases of partially satisfied claims, in the main courts refused accrual interests for violation of monetary obligations after the arbitral award came into force or in issuance of an enforcement order. However, partial satisfaction in fact became an obstacle for full enforcement of an arbitral award. For example, the Shevchenkivskyi District Court of Kyiv explained that an enforcement order should be issued after the decision on recognition and enforcement came into force. A claim filed before that, as made before due time, should be refused as stated in the Decision of 1 July 2016 in case No.761/37045/15-ц. Thus, a claimant should once again submit a claim to court asking for issuance of an enforcement order. This issue has been settled by the Civil Procedure Code of Ukraine as amended on 15 December 2017 (hereinafter — “CPC”), setting in Clause 6 p.2 Article 476 that a claim on recognition and enforcement of an arbitral award should contain the requirement on issue of an enforcement order. The level of refusing recognition and enforcement of ICAC awards by district courts was 14% on average (10% — 2013, 18% — 2014, 8% — 2015, 14% — 2016, 11% — 2017, 8% — first half of 2018). The most common grounds for refusal were: rendering an award on matters beyond the scope of arbitral agreement (50% — 2017), contradicting the public policy of Ukraine (25% — 2017), incapability of dispute subject matter to be settled by arbitration (29% — 2015, 15% — 2016), non-compliance of arbitral procedure with agreement of parties (2013, 2014, 15% — 2016, 25% — 2017), making a party unable to present its case (2013, 2014, 43% — 2015, 7% — 2016, 50% — first half of 2018). There were formal refusals for recognition and enforcement on the grounds of voluntary execution of an arbitral award (2014, 14% — 2015, 23% — 2016). The number of cases left without a hearing were around 14% of the total (14% in 2013 and 2014, 17% — 2015, 17% — 2016, 19% — 2017, 0% — first half of 2018) and mostly on the grounds of not filing the original or notarially certified copy of an arbitral award, arbitral agreement, evidence of notification of the other party about arbitral proceeding or undue execution of the mentioned documents. Thus, in case No.519/459/16-ц on recognition and enforcement of the SCC award the High Specialized Court of Ukraine (hereafter — “HSCU”) by its decision dd. 31 May 2017 left the case without hearing based on the absence of an arbitral award’s translation from Russian into Ukrainian and non-certification of a copy of it as prescribed by Article 394 of the CPC effective until 15 December 2017, despite the fact that this requirement contradicted Article 5 of the New York Convention according to which such grounds may be applied by the state court exclusively at the request of the other party. According to Article 9 of the Constitution of Ukraine and p.2 Article 19 of the Law On International Agreement of Ukraine, the provisions of international law have direct effect and take precedence over national legislation in the event of a clash. Thus, the court had to take the case into consideration in accordance with the Convention and, if the debtor objected, to decide on submission of the mentioned documents. The renewed procedure of recognition and enforcement of ICAC awards fully implemented the international provisions stipulated in Article 4 of the New York Convention and p.2 Article 35 of the UNCITRAL Model Law (1985) according to which the party applying for recognition and enforcement should, at the same time, supply exclusively the originals of an award and arbitration agreement or duly certified copies thereof as well as their translation into the official language of the country of enforcement in accordance with p. 4 Article 476 of the CPC. On average the parties appealed against decisions of district courts in 40% of cases (36% — 2015, 41% — 2016, 58% — 2017, 23% in first half of 2018). Courts of appeal reversed 18% (22% — 2015, 25% — 2016, 24% — 2017, 0% in first half of 2018) of reviewed decisions. The falling trend in the number of decisions reversed by courts of appeal should be noted here. Under the results of review the Appellate courts refused in recognition and enforcement on average 12% (4% — 2015, 16% — 2016, 14% — 2017, 14% in first half of 2018) of reviewed cases, and 9% were transferred for a new hearing to district courts (18% — 2015, 12% — 2016, 5% — 2017, 0% in the first half of 2018). The annual average percentage of decisions, reviewed in cassation, came to 16% (14% — 2015, 18% — 2016, 22% — 2017, 8% — 2018) of submitted claims to district courts and 39% (39% — 2015, 44% — 2016, 38% — 2017, 33% in first half of 2018) of cases reviewed in appeal. Courts of cassation set aside the decisions of Appellate courts in 19% of cases (33% — 2015, 22% — 2016, 19% — 2017, 0% in first half of 2018). Under the results of review the Cassation court refused recognition and enforcement in 8% of reviewed cases and 30% (33% — 2015, 36% — 2016, 50% — 2017, 0% in first half of 2018) were transferred for a new hearing to the district or appellate courts. The mentioned measures demonstrate that a significant number of decisions adopted by district and appellate courts were done so unduly. The review of cases by courts of higher instances causes postponement of the time of enforcement of an arbitral award. In the last few years in Ukraine courts have formed the approach of “strict non-intervention in ICAC awards”, according to which state courts refused to accrue interests for breach of financial obligation after the rendering of an arbitral award. Thus, the Appellate Court of Kyiv, by its decision of 23 February 2017 in case No.759/16206/14-ц, refused to recognise and enforce GAFTA award on the ground that “delegation of right to accrue interests to Claimant or state executors contradicted the principles of justice of Ukraine /…/ as it shall be approached as interference in relations, regulated by an arbitral clause and may be qualified as contrary to the public policy of Ukraine”. The HSCU, by its Decision of 30 September 2015, transferred case No.6-47255св14 on recognition and enforcement of LCIA award for a new hearing found that setting the amount of interest, when deciding on recognition and enforcement, other than set by the arbitral award, was false. In case No.6-8077св15 the HSCU, by its Decision of 23 September 2015, determined that the compounding of interest is beyond the competence of a court, taking into account the issue of recognition and enforcement. Thus, an unlimited number of case reviews, along with the impossibility to accrue interest for breach of financial obligation are, in fact, related to devaluation of the recovery value. Despite case law, p. 4 Article 479 of the CPC stipulates that if interest (penalty) accrual is provided by the arbitral award the state court should determine the amount of recovery, including such interest or penalty accrued up to the moment of execution of an arbitral award. The rights and expectations of a claimant should be guaranteed in this way. Furthermore only on 1 January 2019 p.5 Article 479 of the CPC came into effect and set out provisions for the enforcement body to calculate the final amount of interest (penalty) in the way stipulated in the court’s decision. Pending the coming into force of the mentioned provision, courts formally had no power to determine methods for calculation of interest and, correspondingly, executors had no power to make such calculations. However, the Supreme Court of Ukraine, when ruling on case No.759/16206/14-ц on recognition and enforcement of GAFTA award, that have been considered by Ukrainian courts for more than 6 years, has a practical approach to such calculation. The Court by the decision dd. 15 May 2018 found that there is a gap in the law until 1 January 2019 and, besides, accrual of interest on debt by an executor is not prohibited by law. The interest accrual procedure should, until the moment of execution, be determined in order to keep the balance between the claimant’s private interest in recovery in the amount set by the ICAC award and public interest in enforcement of such award. Taking into account that the Supreme Court’s conclusions are binding, the mentioned agreement may be applied by courts as a ground for determining the procedure of interest accrual at the stage of enforcement. Particular attention should be paid to the issue of territorial jurisdiction of cases on recognition and enforcement. During the last 3 years 39% of claims were considered by Kyiv Region district courts, while 17% — by Dnipropetrovsk, 9% by Zaporizhia and 8% by Odessa district courts. According to p. 3 Article 475 of the CPC, the consideration of cases on recognition and enforcement of ICAC awards was transferred from district courts at the debtor’s place of residence to the Kyiv Appellate court jurisdiction. Thus, the procedure for recognition and enforcement has partially returned to the procedure of 2001 — 2005, when such cases were considered by appellate courts acting as first instance due to Article 4 of the Law On Recognition and Enforcement in Ukraine of Foreign Courts Decisions, No.2860-III. The change of territorial jurisdiction may be explained by intent to cut the number of court instances to two — the Kyiv Appellate court and the HSCU — in order to reduce the time of proceedings. However, more than 60% of cases were considered by courts not from Kyiv Region. Furthermore, the necessity for parties to be present in the court hearings in Kyiv may appear unreasonably burdensome. Thus, cutting the duration of proceedings may be achieved by transferring the cases to the jurisdiction of all appellate courts of Ukraine. Thus, selection of the Kyiv Appellate Court became a unique case of such ruling on jurisdiction in Ukrainian civil procedure practice, which demonstrates the intention to centralise judicial power. Article 480 of the CPC set the new procedure of recognition and granting permission for voluntary execution of ICAC award according to which the debtor should apply to a court to adopt a decision on the grounds of which the enforcement order should be issued. The new mechanism has special significance with regard to the currency legislation of Ukraine, particularly the prohibitions of currency purchases and transfer of foreign currency abroad, including on the basis of an individual licence due to par.20 p.6 of the Regulation of the National Bank of Ukraine On Resolving the Situation in the Monetary and Foreign Exchange Markets of Ukraine of 13 December 2016, No.410. The exemption from that prohibition, set on 29 March 2018, is the transfer of foreign currency abroad in order to execute ICAC award by a debtor-resident who obtained an individual licence from the National Bank of Ukraine. Thus, formally the debtor that intends to voluntarily fulfil an arbitral award according to which currency should be transferred abroad, should apply to a court for permission on voluntary execution of an ICAC award in Ukraine in accordance with Article 480 of the CPC. As of the first half of 2018 the Kyiv Appellate Court adopted a decision dd.21 May 2018 in one such case, No.796/111/2018, in which it satisfied the application of the debtor-resident of Ukraine on recognition and granting the permission on voluntary execution of a LCIA award upon which the amount in GBP should be paid by the debtor in favour of a legal entity registered in Switzerland. Thus, the legally established procedure for granting permission on voluntary execution of an ICAC award is an important mechanism for retaining partnership and safeguarding the creditor’s interests taking into considerations the currency restrictions that are in place in Ukraine. Despite the tendency in court practice to be arbitration-friendly, as evidenced by statistics, especially the prevailing number of satisfied claims, a number of requirements that complicated the procedure of recognition and enforcement of foreign arbitral awards have been formed over the last 5 years that became a reason to review the legislative procedure. The CPC with amendments has solved some of the clashes that blocked enforcement of ICAC awards, in particular the CPC stipulated the following: 1) a claimant is obliged to include requirement to issue an enforcement order in claim; 2) a court is obliged to determine recovery, including interest (penalty), up to the moment of execution with setting a procedure for calculating accrual of interest; 3) a court shall convert recovery into UAH exclusively if a claimant is asking for this. However, the relatively short period of conducting of proceedings in cases on recognition and enforcement of ICAC awards under the renewed procedure does not enable an estimate to be made of its efficiency, the elimination of gaps in law-enforcement practice suggest the procedure has good prospects.